Pinch me!! 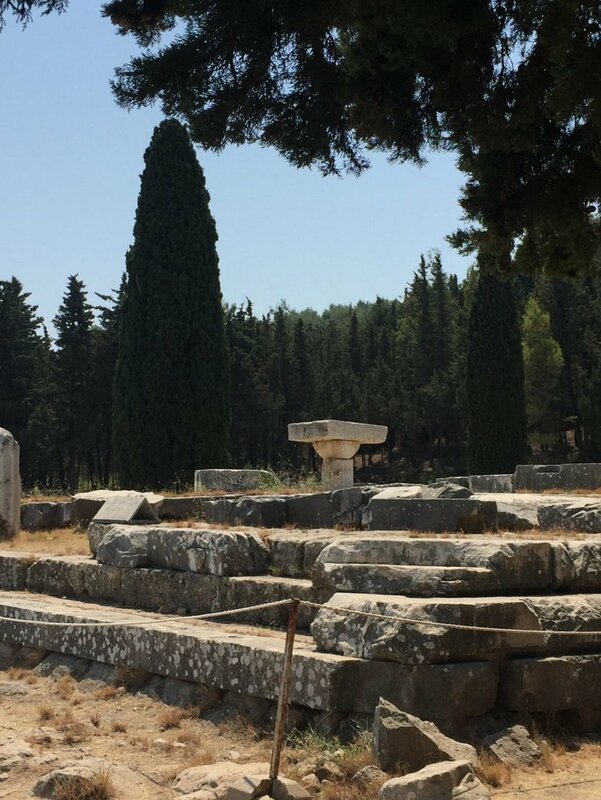 I never imagined I would be visiting Kos, sit through an earthquake for breakfast and visit the home of Hippocrates, THE ancient Greek physician. Considered one of the most outstanding figures in the history of medicine, his observations, writings and practices around holistic health stand in good stead even to this day. The Hippocratic Oath is one of the oldest binding documents in history, and is still held sacred by physicians: to treat the ill to the best of one’s ability, to preserve a patient’s privacy, to teach the secrets of medicine to the next generation, to do no harm and so on. I found myself in the Hippocrates hospital complex ruins on Monday and as I stepped onto the site, tears came to my eyes. Hippocrates was born 2,467 years ago! It was blisteringly hot and from the top of the mount, there was a spectacular view looking over the water to Turkey. I was taken to the Hippocrates Institute to meet a renown poet, historian and lifelong student of Hippocrates’ writings. Of course, we had an immediate connection. Here is Hippocrates’s colonic apparatus – an Ox bladder!